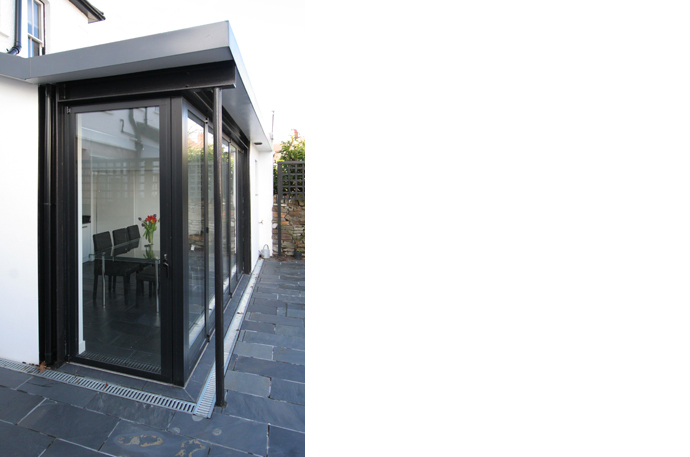 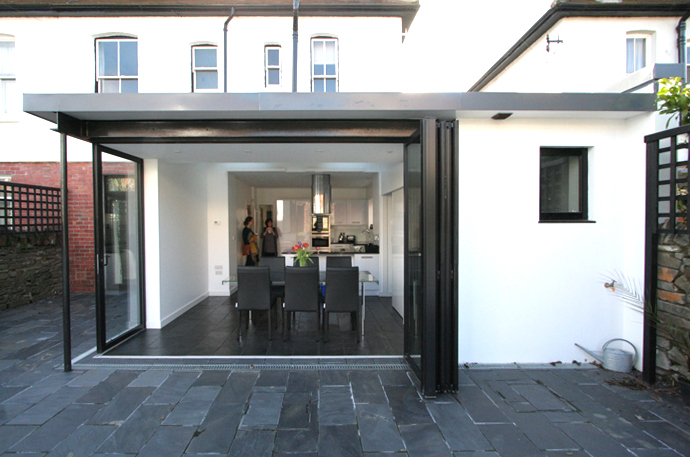 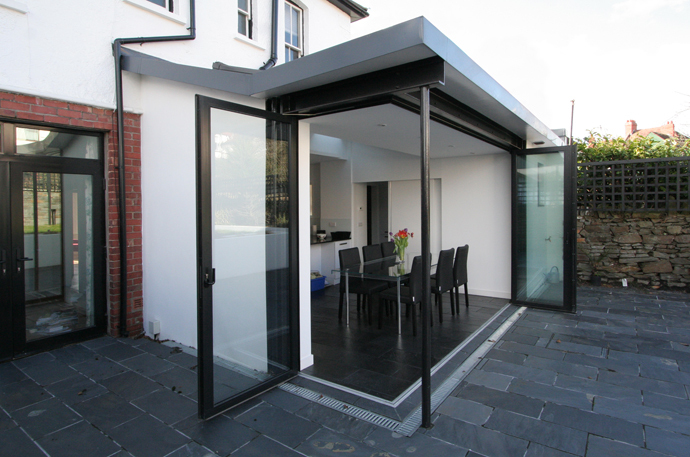 This extension to a 1930s house in Cardiff aimed to replace an existing small and dark kitchen and lean-to with an open-plan kitchen and breakfast room with adjoining utility and WC. 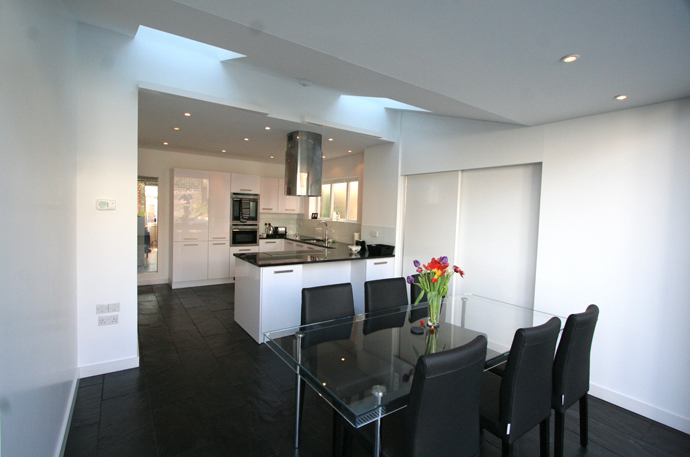 Natural light is introduced to the new space through roof lights while sliding folding doors relink the house with the garden. 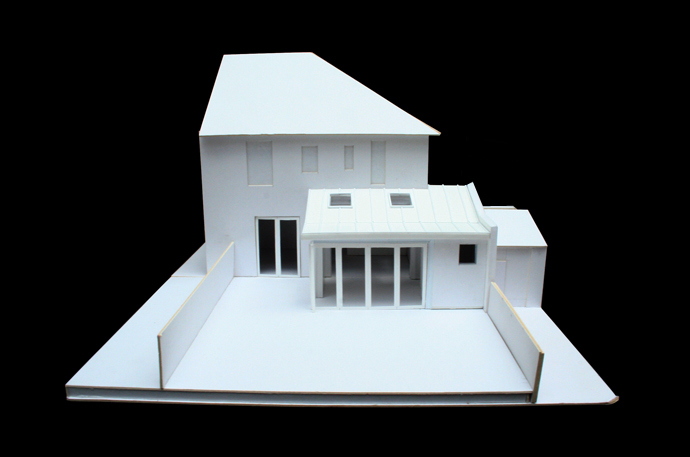 A minimal white finish was chosen to compliment, without overpowering, the rest of the house and contrast with the continuous flow of welsh slate from inside to outside.